Events for groups of 100 to 3,000. 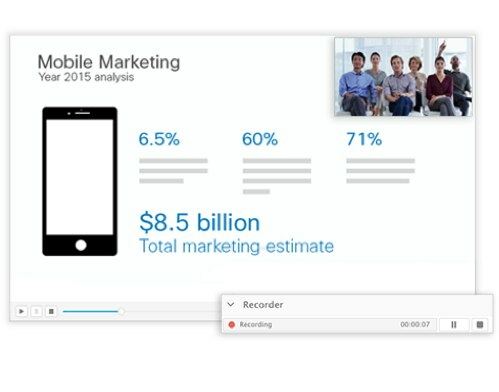 Deliver a polished, interactive presentation with video, screen sharing, Q&A, polling, and chat. People join easily from any platform. Brand your invitations and registration site. 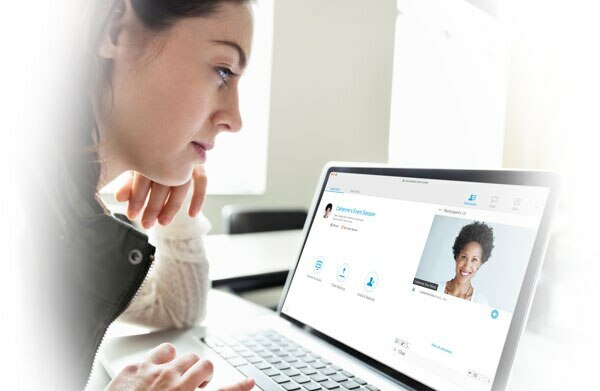 Customize the enrollment process with questions that let you score, track, and follow up on leads. Record your event with one click. 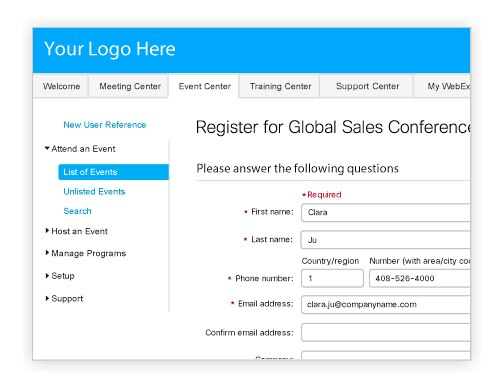 You get more bang for your online event buck. And nobody misses out. 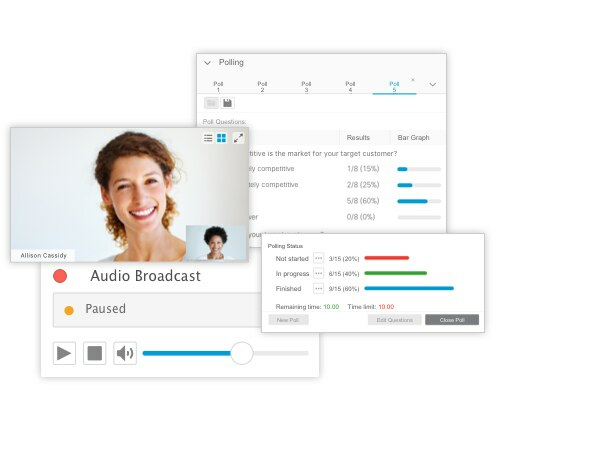 Plan and prepare with a WebEx producer, and get tech support during your event. Add Assist Services to your package.